Be it something inexpensive for a workplace secret santa, or something a little more extravagant for that someone special you will find some inspiration here! This here is secret santa territory! I find this the most difficult kind of gift to buy, as I generally don't know the person as closely as I do a good friend or family member. However if you know that the person you are buying for is a freak for coffee then you are in luck. What a perfect little edible gift! These come in usually around $10 for between 100 & 200 gms. They are a different take on the classic scorched almond, not a flavour that everyone is going to enjoy as you are snacking on a roasted coffee bean. 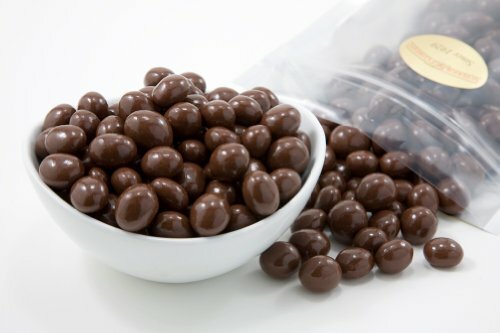 But if your recipient is serious about their coffee they will love a bag of these. Do you know someone who is new to espresso, maybe they just bought a shiny new espresso machine? Well this is a great little way of building a gift to your budget. Some key components that every home barista will benefit from having around include a thermometer, milk pitcher/jug, knock box and espresso shot glasses. By doing this you can spend as much or as little as you like on a thoughtful and useful gift. 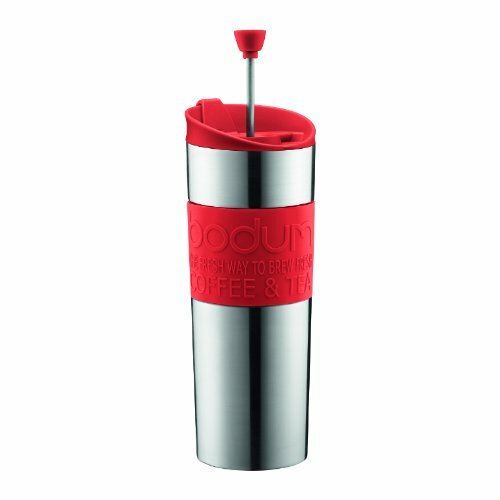 These are a fantastic hybrid of a french press and a travel mug, perfect for an office worker that hasn't got access to a good cup of coffee. 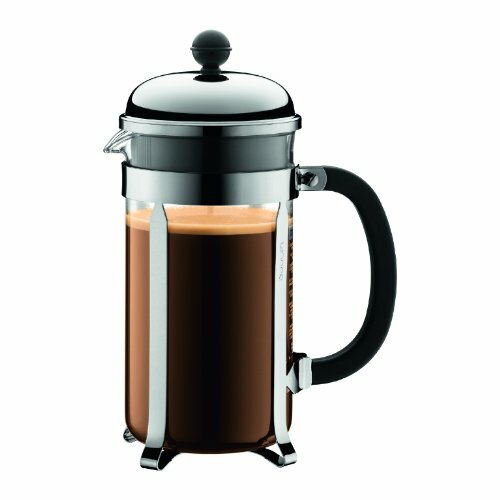 These work simply by using pre-ground coffee and filling with hot water, allowing to steep and then - enjoy. For around $35 these are a more resilient option than a french press as they are made from plastic or metal instead of glass, yet still produce an awesome cup of coffee. So you know somebody who lives off instant - and calls themselves a coffee lover. Why not give them the gift of a great cup of coffee for christmas. There is a huge range of coffee plungers out there to choose from, and they are the perfect starting point for a new comer to the fresh coffee scene. A decent french press would set you back between $20 & $50 depending on the size you choose, what ever you have left in your budget spend it on a bit of good quality medium roast ground coffee from a local roaster. The recipient is sure to love it! This becomes a slightly harder price bracket as you may be starting to look at entry level home espresso machines, grinders hand held tamps and so on. The reason this is difficult is that they tend to be much more personal choices when it comes to purchasing so I would try and avoid the aforementioned items unless you have specific instructions from the recipient as to what they want - you don't want to be the relative giving the no-frills brand mp3 player when what they really want is the Apple iPod - if you know what I mean. Below would be my suggestion, without purchasing any equipment as such. 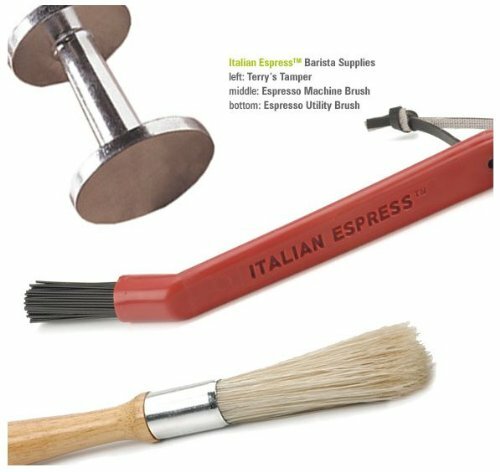 Think of it as a take on the cooking class, someone who is enthusiastic about espresso preparation will get a lot out of a class focusing on how to prepare and serve espresso. Preferably you would look for a course which is going to teach the basics of espresso and how it is to be prepared to its full potential, as well as techniques for stretching and steaming milk to create all the different drink options out there. By having a sound knowledge of what makes a good coffee the recipient of this gift is sure to enjoy as well as make the most out of their espresso machines at home. This is just a collection of a few gift ideas that as a coffee lover, I would be excited to receive personally. If you have a coffee fanatic on your gift buying list this year we would love you to share with us what you got them in the comments below. Wishing all of our readers a very safe and fun filled Christmas! !